Date built: 18th of March. Hello, dear pcpartpicker friends. I put this rig together with one goal in mind - to game. Quite mainstream, heh? Just like the build itself. It bugs me as well just how mainstream it is, but oh well. Couldn't justify spending my and my parents' money just for the sake of not being mainstream. Yes, I am still a student. And although I get summer jobs, the funds for this were saved during the period of 6 months from my allowance. I spent every penny I had saved on this. No regrets. I initially built it with an xfx 650W and it was h.e.a.v.y. Just the PSU weighed more than my entire previous build probably. Had to return that one though. The fan noise was not acceptable for me. At idle or gaming it was the same - twice as loud as anything else. My girlfriend filmed most of the building process, so I might upload the unpackaging and building with some notes of my experience with the parts on YouTube. Leave a comment if you'd thing you'd want to see that. If you have any questions, sensible criticism or want more pictures, a video or just like/dislike the build or description, please leave a comment. P.S. Most of the pictures have the XFX PSU, which I replaced with the EVGA G2(can be seen on the last pictures). I also kind of failed the pea method. Not a perfect dot, but it does the job quite well, I'd say. The cat slept through most of it. After I refused to let him have the Core 2300 as a cat treehouse, he lost interest in the building process. Still uses the case as a scratching post from time to time though. He likes the mesh covers for the fans and the EVGA sticker. P.P.S CPU temperatures were recorded after 25 minutes of AIDA 64. GPU temperatures after 10 minutes of Far Cry 4. Achieved at @4.7GHz core @1.3v, 2.1 VRIN, LLC Turbo, rest default and 1.501(+135) GHz on the core and 8.414 GHZ(+700) on the VRAM. 110% power target, default voltage, custom fan curve. An absolute legend. Anyone, who cares about price/performance should look no further. Keeps the CPU @71C when it's running at 4.5GHz @ 1.245v during AIDA64. Naturally it's rubbish, when you test it with Prime95, but I'm yet to see any real world software, which would come anywhere close in temperatures to Prime95. During games it usually keeps the CPU in the 50s/60s. I do think that this is the best investment to make if you care about price/performance or sheer performance. Luckily I think I managed to get a good application from the first try. Pea size folks. It's not a 10 core Xeon, so even 3/4 of a pea will do. Less is more. You really need tiny amounts to cover the die, once the heatsink has squished it all. I didn't spread or anything. I don't think a credit card is smoother than the heatsink. I'm just leaving myself open to air bubbles, which have adverse effects on temps. The price of an FM2+ board, right? I'd actually say you get a bit more than what you pay for, but not much. Took me a few days to properly understand how to apply settings in BIOS. Apparently you don't need to press the Apply button to apply settings. No idea what that big Apply button is for at all. However, it's the same BIOS for all Gigabyte boards, aside from the top range ones. What I also think it's lacking is SLI support. I had no intention to SLI that 970, until I heard about what Directx12 might be able do to. If it would let me have 3.5+3.5=7GB of VRAM, then a second hand 970 for £200 might be a fairly decent upgrade for this, once DirectX12 is out. There is an absolutely insane driving issue that this motherboard has. The PWM headers are in the bl**dy middle of the motherboard. Right between the GPU and the Heatsink. Worst place in the world to have any header(aside from CPU fan headers, maybe, just maybe). Took me a good 20 minutes just to connect my two Akasa fans. Another gripe that I have with this motherboard is that I can't find how to regulate the speed for the 3 pin fan header(this one at least is to the side of the motherboard, where it should be). So the two 120mm Fractal case fans that came with the case were running @ 100% until recently, when I got 12v to 6v cables and now they run at 50% all the time. I would rather have it go down, when the temp is low (maybe even off, like the AKASA fans do) and then ramp up, when there's a reason to. I did update the BIOS and I found the fan settings in it, but there's settings only for the two PWM fans and for the CPU fan. The third case fan header goes completely undetected. I do also get pretty bad coil whine through my speakers. Nothing, when the speakers are disconnected, but quite annoying, when I'm playing Far Cry 4. So I was thinking maybe if I get a new motherboard, I won't get coil whine through my speakers/headphones. I did OC it to 1800mhz with 9-9-9-24 timings, but it failed memtest. Haven't tried increasing the DRAM voltage. Tried 1866, but it straight up refuses to boot with it or any higher. What a beast. Managed +150 on the core, which showed 1.516GHz during benchmarking. Increasing the voltage to +35(maximum Evga's Precision lets me do) didn't let me do +160MHz so I decided to not fiddle with the voltage. It refused to run stable with any memory increase even at +140mhz, so I tried 135mhz on the core and +100 on the memory. Passed. Tried 135 and 200. Passed. 135 +300, passed. So I was pretty happy with this, but just wanted to know how much it would do. +700Mhz on the memory+135mhz on the core and it ran stable. Tried +800 and +750, but it failed both. That means 8.4Ghz memory 1.5GHz core. With no back plate and with the front heatsink not even touching the memory modules or the VRMs as far as I know.... Pretty insane. Either I hit the lottery or EVGA is king. My old Zotac 970 wouldn't do more than +200 on the memory and +240 on the core. Resulted in around 1.45 ghz and 7.4 GHz. But this not only OCes better, but it also runs much cooler and quieter. 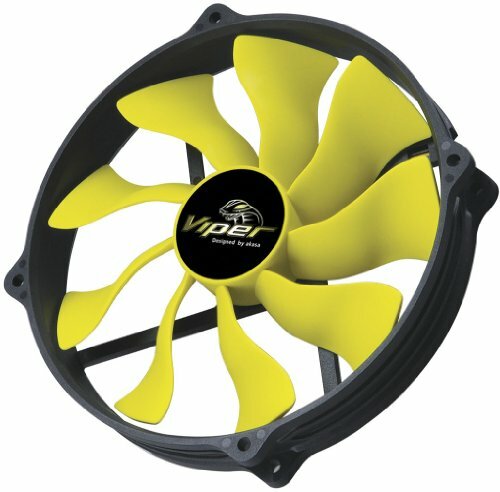 To keep the Zotac under 70C, the fans would have to spin at 3.5k RPM. This one keeps it at 71-72c, OCed like a truck with 1500 RPM or so. The fans are off most of the time anyway. Even when I play League of Legends. Fans off and temps in the 50s. I've set a custom fan curve, where the fans don't move until it hits 60C and then scale up to 2800RPM if need be, to keep the GPU under 75C, so that it stays at its maximum boost. I don't get coil whine while gaming from the card itself, but I can hear it through my speakers. So I'm not sure whether to return the GPU or the motherboard. I would much rather return the motherboard, given how good this GPU overclocks. I went with the 970 over the 290x as they are the same price here in the UK, and the 970 outperforms the 290x @ 1080p in most games. Especially in Far Cry 4, which is the most demanding game that I play. And it would cost me about £20 more to get the Sapphire 290x. I do not plan to upgrade to 4k in the next couple of years, so no I will not die because of my 970 not having enough VRAM to play League @ 5k. My screen upgrade plan is to go for 144hz 1ms. Whether it be 1080p or 1440p depends on how much money I will earn from my summer job this year. Hopefully I get one. These fans... Look them up. I was a bit skeptical whether they would truly match the numbers Akasa has posted for them. They do. 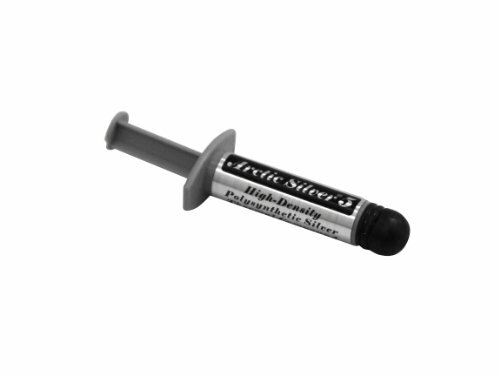 I have not measured them with professional grade hardware, but from my personal experience: they are quiet, push a lot of air and I wouldn't doubt the static pressure they are claiming. However, bear in mind: these fans are as unorthodox as it gets, when it comes to mounting. First off, they are not 140mm. They are 145mm. So they might not even fit in same cases. I had to cram one them really hard into the 140mm slot in the front of my case. Second: they have fan mounts spaced for a 120mm fan. So if you have a fan slots, which is not 140/120mm, but just 140mm, well - you're partially screwed. And even if it's 120mm/140mm you are still screwed most likely. The 120mm mounts on my case where not centered, but rather slightly to the side so as to allow better radiator compatibility. Well, that means that I've got my front fan just crammed into the front slot with no mounts whatsoever. Frankly though it's crammed so tight, I think it's less likely to move than the 120mm one that's screwed in. Oh, and they don't come with screws. Rubber 'screws' only. Can be useful though, as I had my bottom fan mounted just through the mesh with the rubber ones. Wouldn't have worked so well with proper screws. In short: They are fabulous fans, but make sure you'll be able to mount them. 145mm fans with 120mm mounts. They perform about twice/thrice as good as corsair 140mm fans and cost half as much. Definitely a recommendation from me, if you can fit them. Trading for a 295x2. I'll chuck in a 970 as well. Sigh Yes and No. There isn't much room behind the motherboard tray. However, behind the the HDD/SSD 'panel' (I'm not sure what to call it, but the thing, which I've removed in my build), there is plenty of room. You can put all the cables any PSU has in there. However, if you want to install additional fans, I wouldn't recommend the bottom/front slots, since those cables might be blocking the airflow. It took me about an hour to organise the cables from the EVGA fully modular Power Supply in a way that doesn't obstruct the airflow from the front fan and they still sit right in front of the bottom fan, because of the PSU size mostly. So, yes, there is room for cable management, but you have to be creative, as it won't all fit behind the tray. Also, a semi-modular PSU is the best solution for me. When I had a semi-modular instead of a fully one, I actually had less cable clutter. How easy was the overclocking with the board? Would you recommend the motherboard? I'm going for a very similar build at the moment. I actually upgraded to the Gigabyte Gaming 5, because of the sound guard and the SLI ability. Overclocking on the two is the exact same. Actually my overclock required .003v less on this one than the Gaming 5, which costs twice as much. The BIOS is pretty much identical and overclocking was fairly straight forward for me. If you are having any difficulties just drop me a PM or reply to this comment and I'd be happy to give you a step by step guide. Easy. PM me if you want a step by step guide. PM sent, thanks for the offer! First time doing a vid, so it's probably not good. But if you have any more questions, feel free to ask. This is pretty basic. If you want to take your CPU to more than 4.4 or 4.5GHz(which I do not recommend on the Evo), there's other settings that you might want to tweak. I personally just change the vcore and the multiplier and that gives the best results with the least hassle so far. into the 1x slot do you think there would be enough clearance on this board? Unfortunately I don't have the board anymore, so my reply will be guided by pictures I have. I found a good picture that suggests that there should be room if you are using a dual slot GPU like I am. Keep in mind that some GPUs are 2.5 or 3 slot though. I will upload the picture into the build. it should be the last one. it might take 1-2 min to update. Edit: The picture is up now. Just go to the last picture, where the 1x slot is visible. I also checked the lay out of the motherboard. There is the PCIe lane, a 1x slot and then another 1x slot. This makes me think that the second 1x slot is meant to go into the third expansion slot of the case, which is free. So long as your GPU is 2 slot and not 2.5 or 3. If it is, you may be able to just use the bottom PCIe lane for your GPU, which if memery serves correct, should still provide 4x or 8x speeds. I'm getting those Akasa case fans because you're literally the only person I've seen review them in any capacity. I'm skeptical of their actual performance, but since you made it work, maybe it will for me. Can you say the fans are still performing well for you? Also, I live in the US, and it seems Akasa isn't a very common brand here - I've never heard of them and most sites are European. I can get them from FrozenCPU.com it seems, but I want to know what you think before I do it. They are good, but I have not compared them to other high performance brands such as bit fenix or noctua. In the UK you can get 5 akasa fans for the price of 2 noctuas. But if memory serves right in the US the Akasa sell for $20-$25, which is about the price of Noctuas. I have not had noctua fans and can't make direct comparisons, but from what I hear from other people say about the Noctuas, these seem to be a bit louder than the Noctuas. At full speed they do push some serious air though. Even at lower speeds they push air well. If you are using some noise blocking case like the R5 or define S I would recommend them. But the core 2300 has 0 noise blocking, which makes any fan audible even at 800 RPM.They don't become a bother until 1000-1200 though. In conclusion - if you are going to spend $20 on a fan - spend it on something that's been reviewed by more people. Unless you really like the colours. If you like the yellow/black, I don't think they'll be much worse, or at all worse, than the Noctuas. But if you're looking for sheer performance, noctua is still king from the reviews I'v read. I think I'm gonna take a chance and get them, if only to put to rest my own curiosity. Noctua's in the US are around $30, while I can get these for about $10-$20, if I can find a shop selling them at all. The color on them is terrible, but I'm going to be painting everything in my case, so it doesn't matter to me. I currently have Noctua fans in my case, so I will be able to compare them easily. I will post back here when I do and let you know which ones are better, if you want. Absolutely. I'd love to hear and know how they compare. I actually found them visually appealing once they arrived. I thought they looked even worse than the noctuas, but once I had them in the package, they actually looked good. And I think they don't look horrible in the build, but I'm not a yellow guy and it doesn't go with the rest. Nice build. What fps does that cat generally run at? 3.5 FPS if you wanna play with him. 9000+ if you try to sleep. Literally tips over and falls if you approach him. As for the PC - 144hz on almost everything I play. Euro Truck Simulator 2 and Far Cry 4, are usually around 70-90 FPS. Tnx for the guide.I was looing for good not expencive case for Hyper Evo 212 - looks like this case is fine. Now i am thinking better to buy r9 390,but not gtx 970!?! WHen you build your PC - r9 390 was not on the market? Was thinking to buy the same motherboard,but after your words about noise - hmm maye will buy another. How about EVFA 750 B2 PSU - good reviews.But it is part modular - hope all wirres possible to fix. Which drive bays would the 970 block? The case is worth it's money. It's really good value, but at the end of the day it's a low end case. I actually use a semi-modular power supply. That means that the 24-pin and 8-pin cables are non-modular, but the other cables are modular. I actually say it in the description in the build, but I switched out the PSU as it was too loud. I am using an EVGA 750W G2 fully modular now. It actually added more cable clutter, but it's really quiet. I think it's the last 2-3 pictures. The case would easily support even the biggest graphics card, but it has to be of standard width. That is - it should not exceed the length of an expansion slot as otherwise you won't be able to use the drive bracket, which would leave with enough space for just 1 SSD. 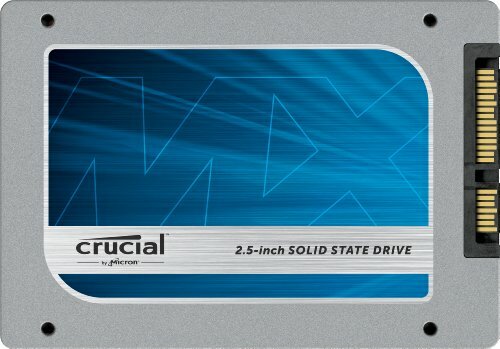 If the card is longer than say 24cm, you'd have enough room for 2HDDs and 5 SSDs. I think it can fit a card up to 32-33, maybe 34cm if it's standard width, but if it's not you will be limited to around 25-26cm. I would make sure to contact power colour or fractal via email. The card itself is standard size, but the heatpipes protruding like that are definitely longer. Newegg lists it as being the same width as my evga 970 SC(4.38'') , but from what I'm seeing that doesn't include the protruding heatpipes, which will 100% block the middle hard drive slot, so you'd have room for 2 hard drives. I would recommend checking out the Define S. It's a bit more expensive, but cheaper than the R5. Also check out the R4, prices on that should be dropping. The advantage of those cases is that they are silent, as long as you use them right. This one, however, has 0 sound blocking. It is awesome for airflow and decent with cable management, but it gets some GPU/HDD interference as mentioned, and also lacks the foam padding that the R4/5 and S have.